Show your democratic views to the Internet community! The .democrat domain was created especially for parties, organizations, and individuals who support the democratic government form. If you or your party adhere to and support democratic government principles, state your position loud and clear with a .democrat domain. 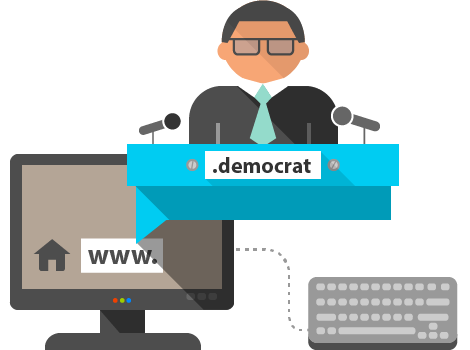 Register your name or the name of your party now with a .democrat domain to reserve your Internet place, from where you can protect your principals and win supporters!